South Dakota Cemetery Plots for Sale or Grave Sites for Sale and Cemetery Lots with Burial Plots for Sale Buyers City Listings. South Dakota Cemetery Plots for Sale or Grave Sites for Sale and Cemetery Lots with Burial Plots for sale Buy and Sell Exchange. Smart, Direct Selling and Marketing to Buyers with Tremendous Savings on Broker Commissions and Honestly the Most Professional Way Sellers of Cemetery Plots for Sale or Grave Sites for Sale and Cemetery Lots with Burial Plots for Sale can be selling Their Cemetery Property. 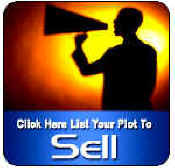 Direct Personal Contact between Seller and Buyer is Now at their fingertips.